The sounds of a cascading waterfall and birds singing. Not a cloud in the sky. The sun is shining and youâ€™re resting by the pond feeding your koi. What could be better than this? How about actually hand feeding them! 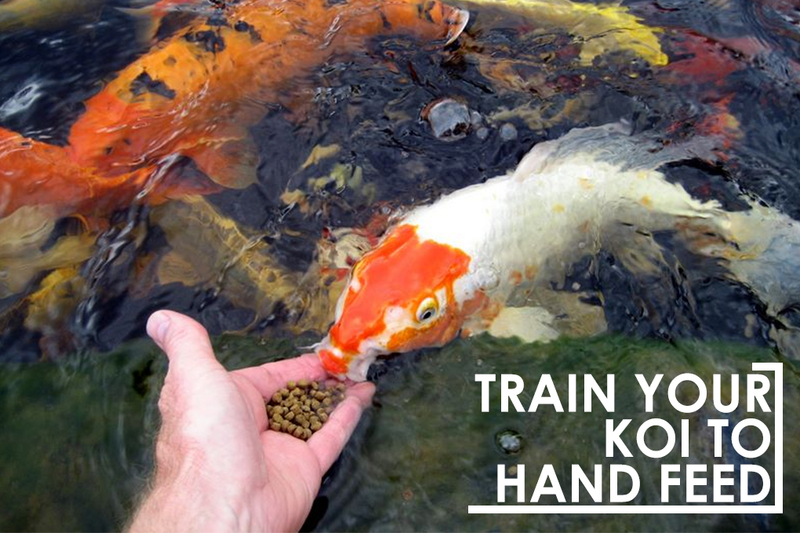 Follow the few easy steps below and your koi will be eating from the palm of your hand in no time. First, pick a feeding spot and set a designated time for feeding each day. At first, gently throw the food into the water and observe, making your presence known. After a few feedings, start outstretching your hand closer and closer each day. Making it known to the fish your hand is present. Eventually, the fish will associate your presence with receiving food. Over time, set your hand into the water with food and slowly release the food. 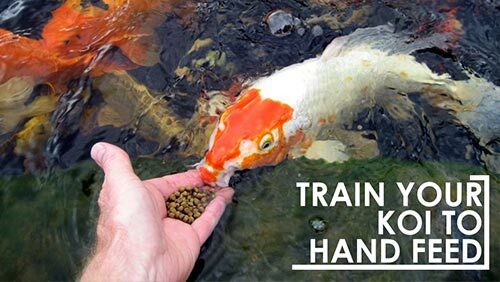 This will help the fish become complacent with your hand. It may take several tries but, eventually the fish will become comfortable enough to feed right from your hand!